Christy describes herself as very normal housewife with two children. However, most normal housewives don’t usually end up on the top sellers for their country list on Etsy, so we think there’s a little more than meets the eye. 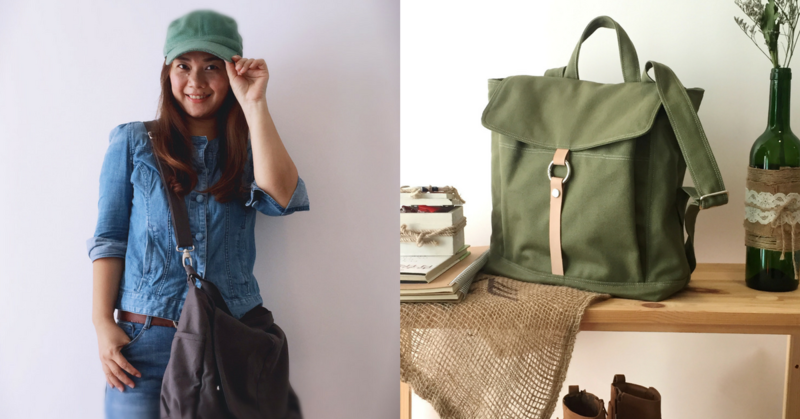 Christy shared that she studied fashion design back in 1996, but what got her crafting handmade bags on Etsy was simple: she was just looking to earn some side income. In 2008, the e-commerce market was nowhere near what we have now, and unique handcrafted items were rare and hard to find. This was the scene that Christy joined, with the goal to make items that she herself would like. ChristyStudio is home to specially designed and handmade bags. The prices range from about RM35 for pouches, with the most expensive bags going for RM277.30. Back when she first started, Christy found that people weren’t as likely to buy things online as they didn’t think it was reliable. Being able to appeal to the international market was the final push she needed to continue to expand her business. Today, a main bulk of her customers come from USA, but she’s had wholesale customers come in from Japan, Australia, and Canada. On the local front, you might have seen her at bazaars and handcraft events. And the customers have spoken. 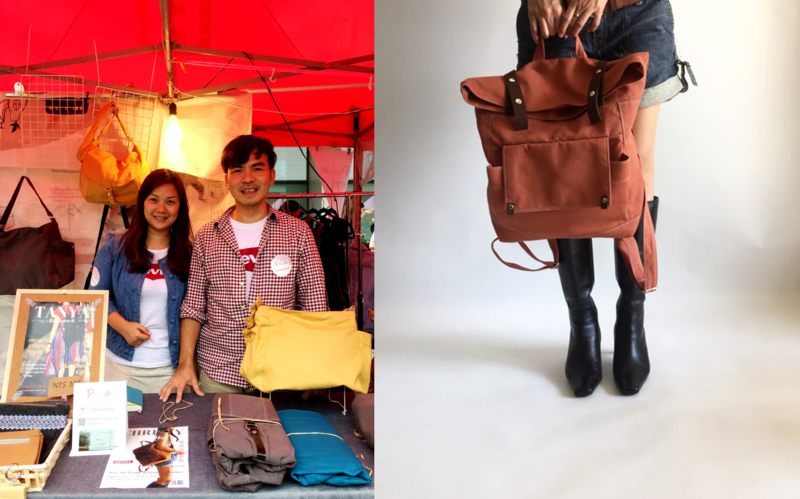 ChristyStudio has made around 27.7k sales on Etsy itself, and has sold over a total of 30k handbags across different platforms. They’ve estimated a revenue of a million ringgit so far. From the beginning, it appears that the high quality of the bags is their major drawing factor (and the extra pockets and compartments, definitely). With a 5-star average rating out of 8,704 reviews on Etsy, a quick browse through the customer feedback showed very positive comments in general. 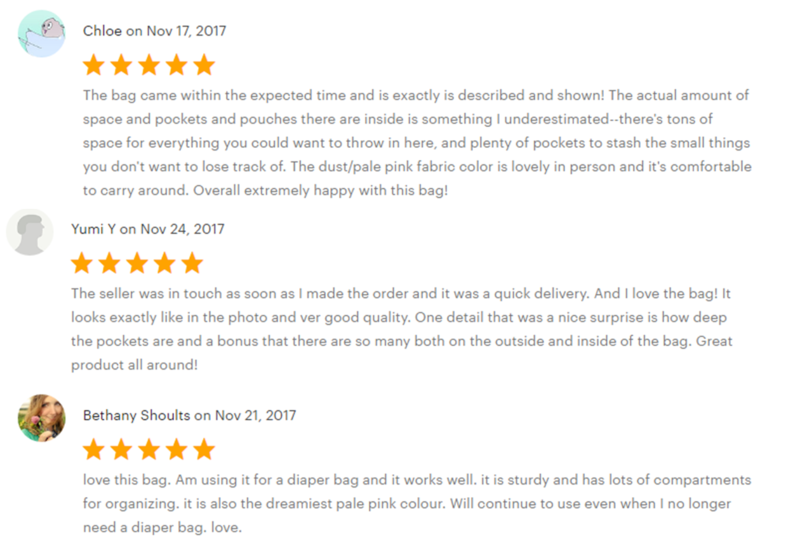 Some of the recent reviews on Etsy. According to her, the topmost priority is to keep their material genuine. She also admitted that it took a lot of research and experience to know what suits the customers best, especially the overseas market. Another obstacle was shipping her products overseas. She had to work to keep the shipping fees reasonable, and also experiment to find out what was the best shipping method, be it locally or internationally. 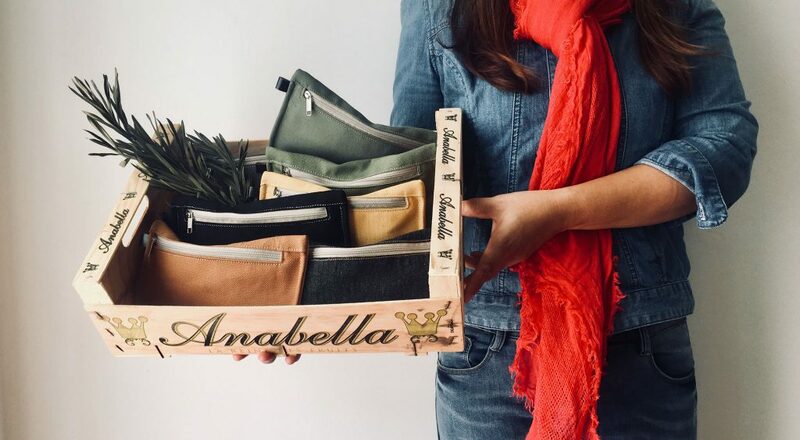 When she started out, she handled everything from designing to crafting, packaging, shipping and advertising. Once the orders started piling up, she recruited a team to help out. At the moment, she runs a 4-person ship, heading designing, shipping and sales. She has a helper for production and employs two professional seamstresses. Her plans to go even further include setting up a proper website. They’re also on the lookout to find new material to suit current market demands. Finally, they are also going to reorganise and engage in a new system of working, to boost its production from current standards.